Scotland has long been a leader in producing pioneers of electronic dance music, but often flies under the radar in its contributions to the scene- until now. 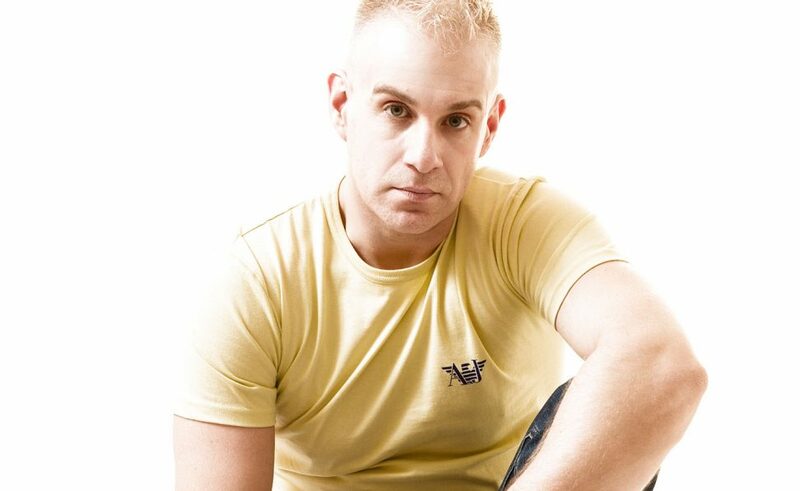 As Scottish tech­trance maestro Mark Sherry’s star continues to rise, the DJ and producer is being recognized as a dedicated and enthusiastic presence in the industry, with original productions and remixes on Spinnin, Armada, Lange Recordings & Anjuna beats. His inexorable passion and drive for his craft is evident in his diverse and well ­rounded collaborations and full body of work, both in the studio as well as his vivid and technical DJ performances spanning the globe. One by one, the top dance music labels in the industry have noticed Mark’s ability to generate high quality productions, and in 2011 Spinnin’ Records had signed him on for an exclusive two ­year contract. With huge support from the mega label, he released his remake of the Last of the Mohicans theme and Clannad classic ‘I Will Find You’ featuring vocalist Sharone, who Mark later teamed up with again to orchestrate ‘Silent Tears’ and a Latin­ American themed track titled ‘Sangre Caliente.’ The following months saw more Beatport chart ­topping compositions from his remixes of ‘Morph’ by Ali Wilson & Matt Smallwood on Doorn Records and ‘Yeke Yeke’ by African artist Mory Kante, and another Beatport Trance No. 1 for his take on trance legend Lange’s single ‘Songless.’ The Scot continued to make a name for himself in 2012 with yet another Beatport Top 10 for his stellar single‘My Love’ on Simon Patterson’s Night Vision label. In 2014, Mark has kept up with his busy schedule both in and out of the studio. By March he unveiled his well supported remix of Max Graham’s ‘The Evil ID,’ which quickly shot straight to Beatport’s Trance Top 10. Now with massive upcoming tour dates at events like Together Festival, Luminosity Beach Party, Electrocity Presents FSOE 350, and 420 Festival, and upcoming remixes of Giuseppe Ottaviani & Aly & Fila, Will Atkinson and Heatbeat, there appears to be no signs of slowing down for this genre­ bending artist. In 2015 he kick-started the year with his massively supported tech-trance rework of Armin Van Buuren’s ‘Together (In A State of Trance)’ which was closely followed with a long overdue original ‘Pillars of Creation’ on Subculture in February (Beatport Top 10). By this point his 2 new record labels Outburst & Techburst were well underway and in Oct 2015 the Outburst Tour makes it’s debut in NYC with the London debut hot on it’s tail in November! Mark Sherry’s Acidburst Mix of his most recent collaboration with Scot Project on Outburst Records made top 5 in the Beatport chart closely followed by his remix for BXR legend Mauro Picotto which has gained massive support across the board. Mark has incoming collaborations with Paul Denton on Outburst and Gene Karz on Techburst and the schedule doesn’t stop there with a forthcoming remix for Argentinian duo Heatbeat! This summer saw him headline some of the biggest brands, clubs & festivals including Tomorrowland, Dance Valley (b2b with Ferry Corsten), Space and Privilege (Ibiza), Subculture and the BAT (Buenos Aires Trance) Festival! To top the year off in style, Mark Sherry returns to Australia at the end of 2015 as part of the illustrious Sterosonic tour and Full On Singapore on the return journey. There is no sign of slowing down for this genre-bending artist and 2016 will be another step up!